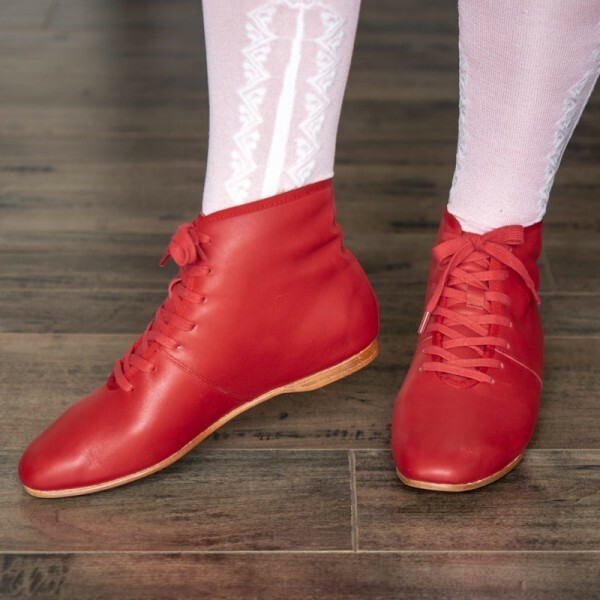 Emma Regency Booties are the adorable, historical ankle booties you've been dreaming of. 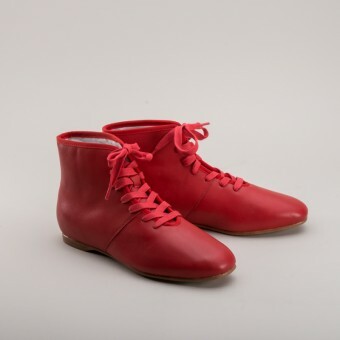 These lace-up boots are accurate for c. 1800 - 1820. 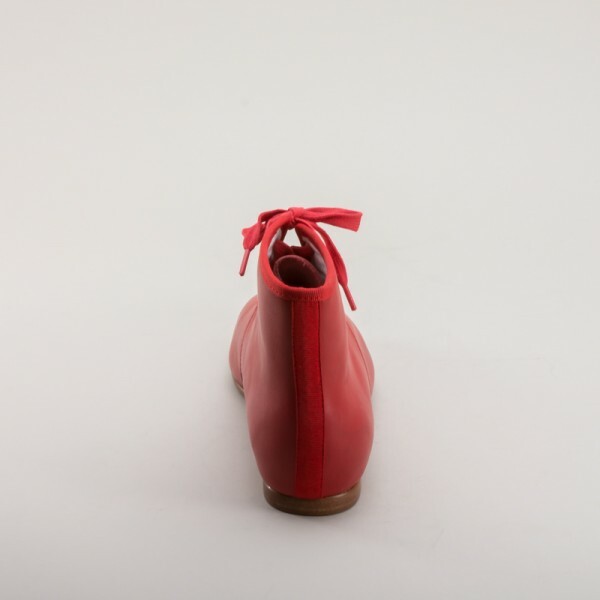 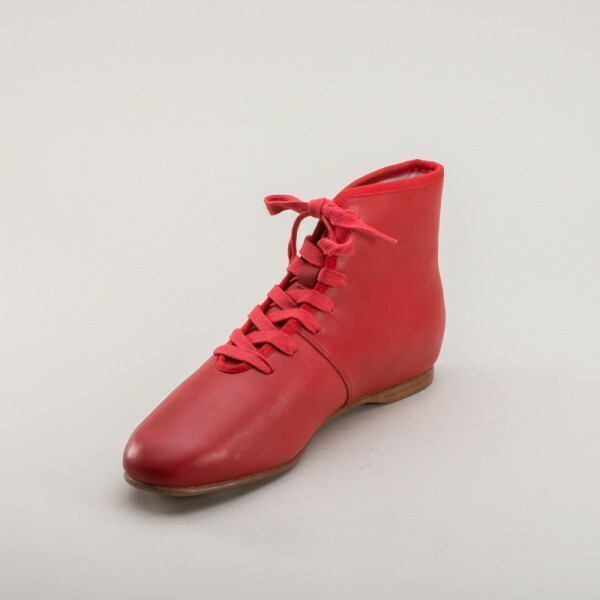 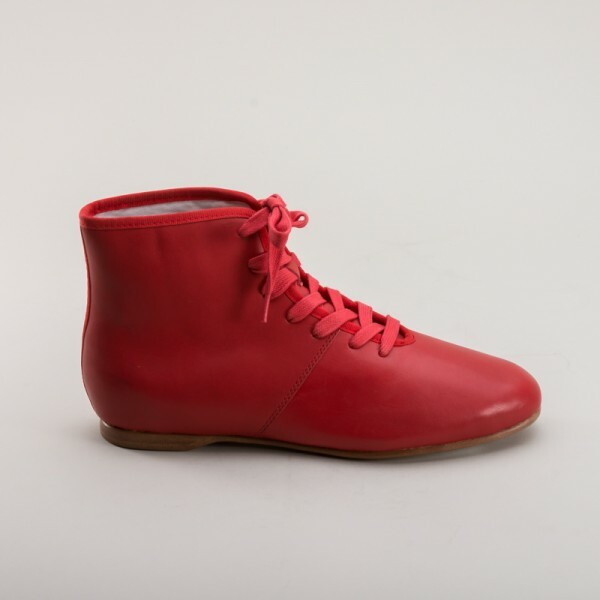 They feature an all leather upper with bound edges, lace-up closure, and a rounded toe. 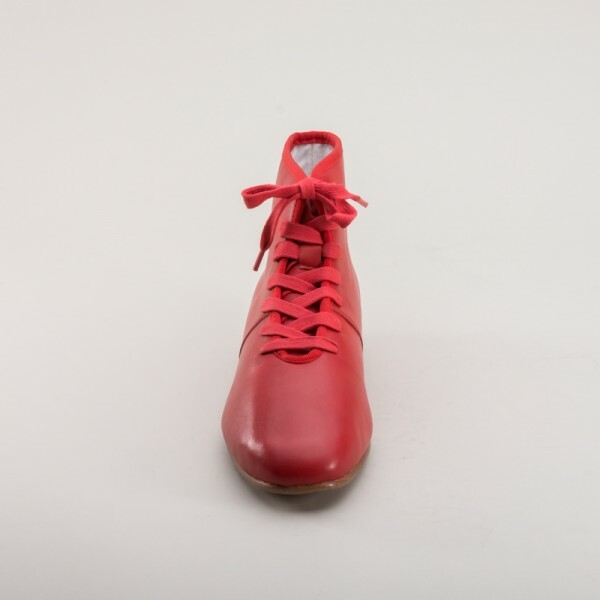 The lining is a durable white twill textile and the sealed leather soles have a slight spring heel, giving a comfortable, flat feel. 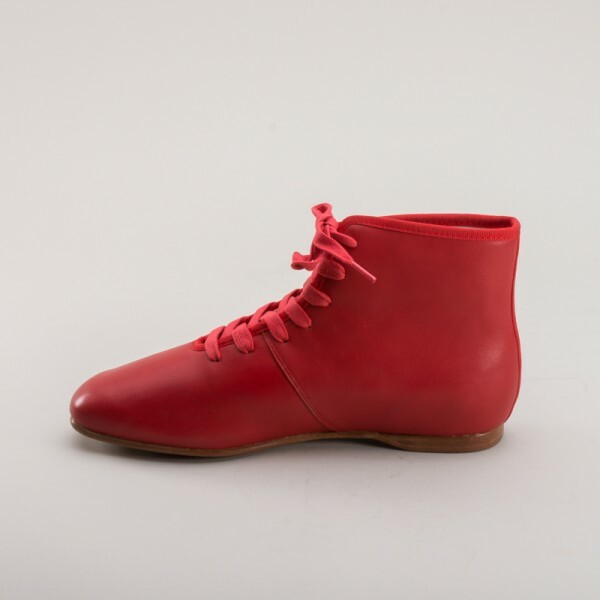 These beautiful Regency boots can be worn with daywear, walking attire, and are perfect for Jane Austen events. 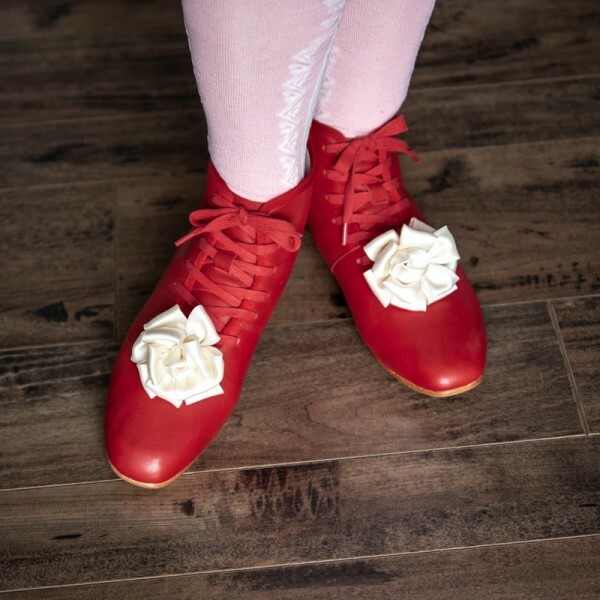 Try them with adorable clip-on rosettes in a variety of colors! 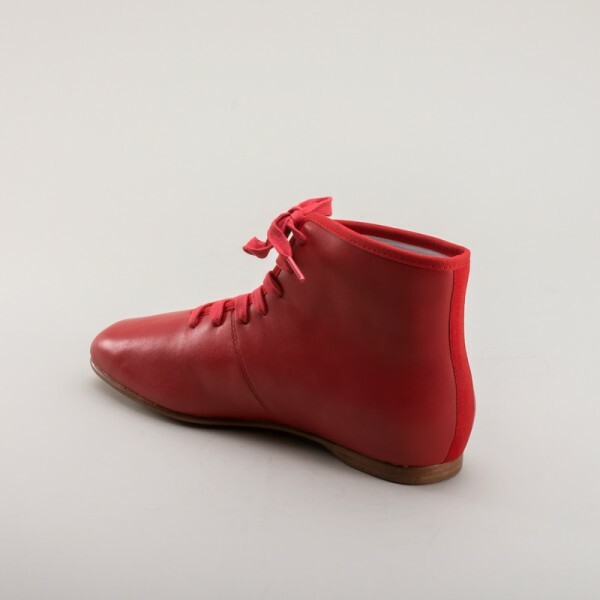 Emma Regency Booties also come in blue.